Inadequate or weak preparatory work before starting construction of any structure may cause serious problems during the construction period. For example, projects without sufficient detailed drawings or construction schedules and a disorganized building site can create many problems in the management and completion of the construction works. Consequently, the cost of construction increases digressively, the construction duration of the project extends and the quality of construction is affected adversely. This study dwells on the importance of construction schedules in achieving the aim of producing good quality construction work within the specified duration. Monitoring continuously the interactive relation concerning delays in construction schedules and contract demands is a complicated process. Here the simplest and basic approach is that both for owner and contractor, time is money and for this reason, construction schedule delays should be analyzed and corrective measures should be taken in a timely manner. The main purpose of this study is to investigate the causes of construction schedule delays and the methods of schedule delay analyses. In this context completion construction works of a covered swimming pool building in Ankara was selected as a case study for analyzing project scheduling and the delays therein. 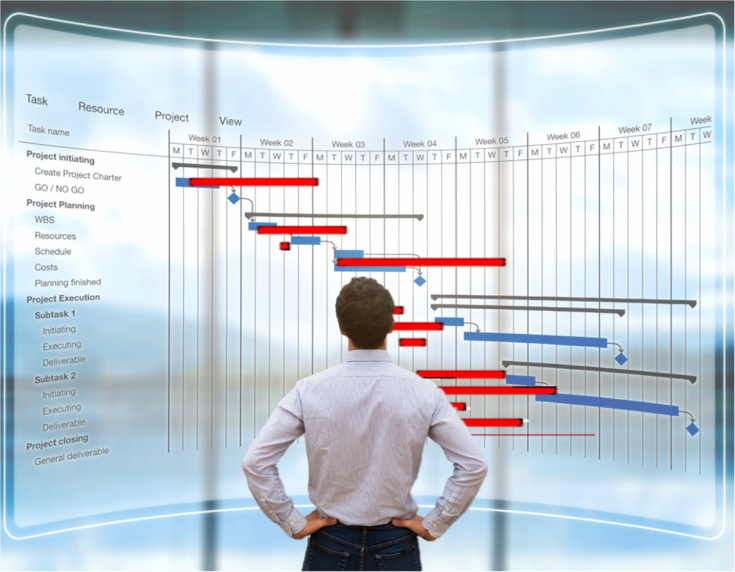 The “Time Impact Analysis Method” (TIA) was applied to the case study project using PRIMAVERA® software in order to determine the construction schedule delays; to measure the impacts of these delays on the project completion duration, and to allocate responsibility amongst the project participants for preventing delay claims. After the application of the delay analysis, it was observed that the delays in the critical activities extended the project duration by 57 days in total i.e. by 15.4 % of the estimated construction period. Fines should have been paid by the contractor because of 31-days non-excusable delays. Also, the contractor should have been given a time extension of 26-days due to 22-days excusable compensable delays and 4-days excusable non-compensable delays which were beyond the control of the contractor. These delays were caused due to organizational deficiencies of the owner, the bureaucracy of the provincial municipality, the lack of detail drawings during the municipality application, the lack of experience of the contractor, problems in material procurement, unforeseeable weather conditions and shortages of qualified employees of the subcontractors. It was observed that of these all except one correspond to the important causes of delays as reported in the literature concerning public projects in Turkey.